This the second startup profile for 2014. 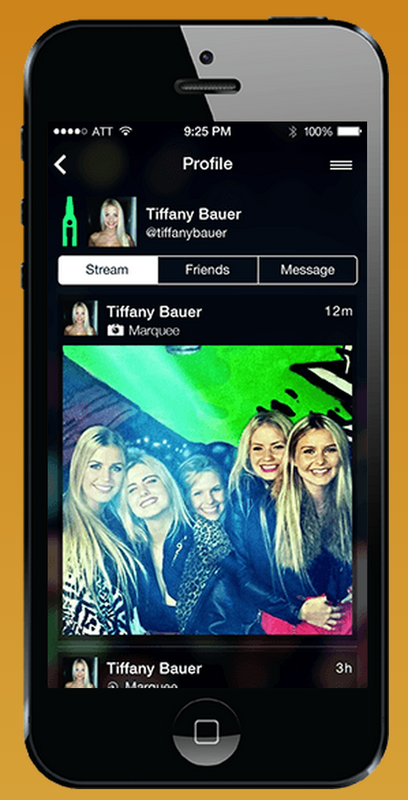 Blendin in a Mobile first private social network, mainly to enable your smaller circle of friends to socialize, meetup and share. I can see how this could be valuable for a younger generation which pretty much want to hang out with their group of friends and they don’t want their Moms and Dads watching what they are doing. Facebook was suppose to be that but then it became popular with everyone, a big reason why many of the younger generation users have moved over to Instagram and the like. I believe this trend will continue, so there is a space for Blendin. I met Kristjan Ingi the CTO of Blendin when he sent me a unsolicited message on Facebook letting me know about this website that he had created called apis.is, he had taken all the public data that was available in Iceland and had created an Open API on it. He wanted to participate in the GreenQloud Hackathon by sharing his website and contributing his API so the participating teams could build something using the API. I asked him to show up and he did, I was surprised that he was still in high school and was tall and lanky. He was extremely talented and he followed up with participating in the UT Messan Hackathon last year once again hosted by GreenQloud and he won the hackathon. I immediately asked him if he would join Team GreenQloud and he did. He was just brilliant in everything that was going on in us scaling GreenQloud. 3 months into the role, he reached out to me and said that he wanted to go do his own startup! My first reaction was WHAT? you are 20 years old, just out of high school and you are getting trained in GreenQloud about how to build a company and you don’t have the patience to stick around a little longer to really understand what it means to be part of a startup? … then I realised, his heart was with his buddies who were doing a startup called Blendin. I told him that he should go and do what his heart tells him to do. I have to admit it was really hard thing to do because it was particularly a tough time with Team GreenQloud as we were going through some rough issues with stability and all that comes with building a company. I met David the CEO of Blendin, when he was part of another startup that was one of the teams in Startup Reykjavik. That startup was trying to build a roller coaster in Iceland, I could see that David was not the driving force behind the company. I met Asgeir, their designer through Kristjan Ingi, as we were looking to hire a designer for GreenQloud. When I first heard about the concept of Blendin, I was not really convinced but I realised the target audience for this app is not me. These guys are all in their late teens and what do I know how to relate to that group? So I decided to put my prejudice away and decided that I will help them in whatever way I can. They asked me to join their advisory board and I did. The team has decided that they are going to go to Silicon Valley and try to get traction there. I think it is a bold strategy, obviously a lot of wrinkles need to be ironed out. I think this is one of the hardest things that you do as a mentor, even if you believe something looks like a long shot, but take the time to be listener and let the entrepreneur find their own path. It is difficult but you have to do it. No one knows what works, the best way to learn is to tinker and try things. I am helping this team find their way.